After the release of iPhone 4S back in October, Apple Introduced an intelligent Hi-Tech Virtual Assistant called Siri. 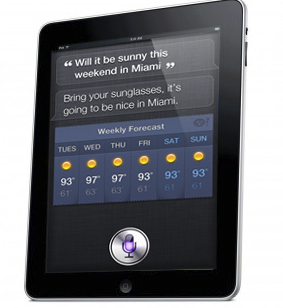 Siri is a new technology Virtual assistant for iPhone 4S, Siri helps people perform their daily task with ease. 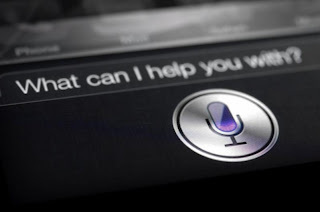 Siri operates on voice, It can understand natural language to answer questions, make appointments, search internet, message or call someone and much more. You'll don't have to speak pre-setted commands, Siri can understand daily used natural language and perform according to it. For Example, Instead of saying Today's Weather, you can just ask siri direct question like Will it rain today? or Should I have to carry umbrella today? Siri can still recognize what are you trying to say and display information. 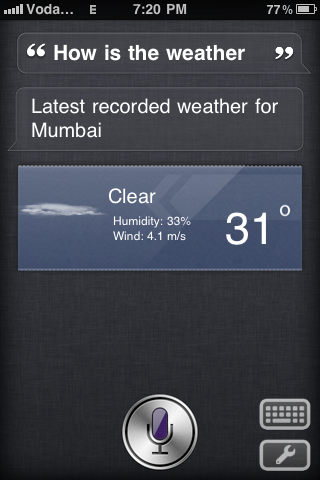 So if you ask Siri Should I have to carry umbrella today?, Siri will simply answer that will it rain or not. 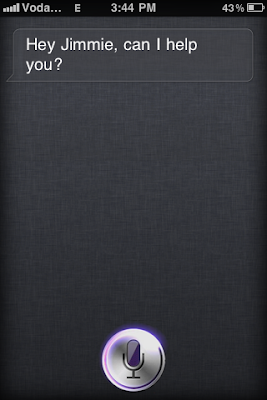 Siri is a great feature but unfortunately Apple just kept it for iPhone 4s, which means people with older iDevices were not going to get siri unless they upgrade to iPhone 4s which was not a great option. So Now all eyes were set on Jailbreak community, So that they try to bring Siri or replicate version for older devices and After 4 months, Now you can get this awesome feature on any iDevice. 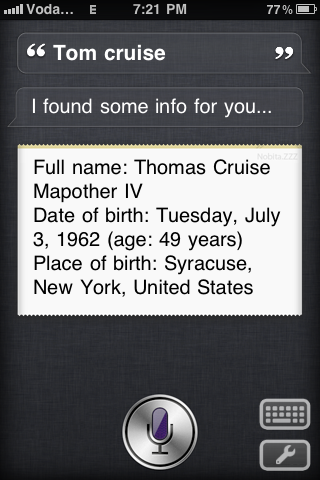 Actually It is not the original Apple Siri, It is a replica or clone version and it runs on all idevices. This version is called SARA. Well, Sara is a virtual assistant and looks similar to siri. Sara can too perform some basic things like Siri and I think, Sara is the Best Siri Alternative for jailbreaked iDevices. Sara can perform tasks pretty well and I am really impressed with its capabilities. Sara is really good at its job. Below are listed some features of SARA. Toggle On/Off Wifi, Bluetooth, 3G etc. 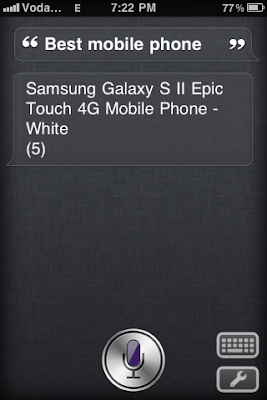 Where Siri just comes with iPhone 4S, Sara offers compatibility of much more idevices. 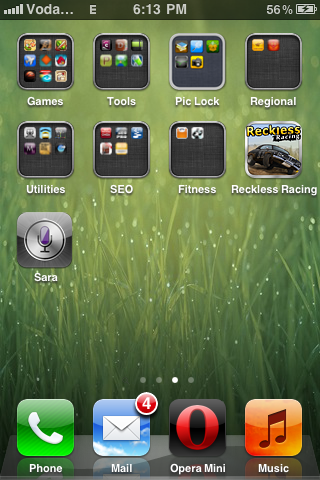 The best thing about Sara is that it also supports iPad's and iPod touch's and of course iPhone's. 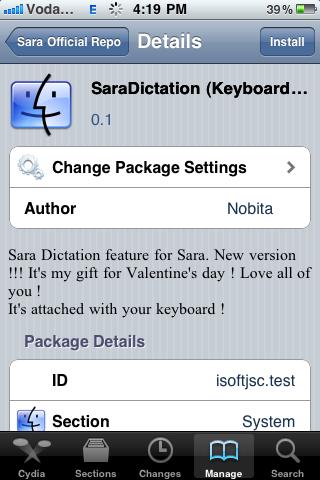 Any iDevice can get Sara's amazing features, But first you'll have to Jailbreak it. If your device is not jailbroken then Click here for Tutorial. Step 1: Once you've jailbreaked you iDevice and Installed Cydia, Go to Cydia Store. Step 6: Go to Official Sara Repo and Install Sara. Note: Console is only for reporting errors to creator. Step 7: Once Sara is Installed successfully, You'll see a Sara icon on your Springboard. 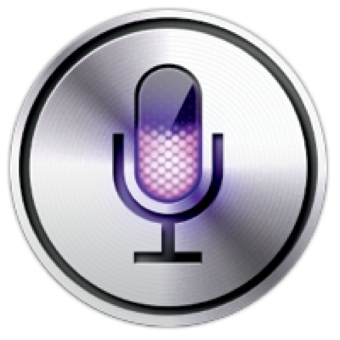 Now Just Tap on It and enjoy Siri on your Old iDevice. Personal Review: Recently I've Installed this awesome feature on my iPhone and It worked great. It is responsive and It recognises most of your commands, almost 90% of my commands were recognised accurately. 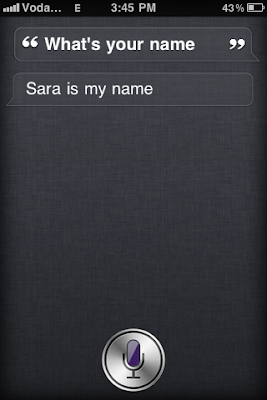 Sara gives Siri like experience and you'll sure enjoy it. Sara helps you get information just speaking with her. If I compare it with Original SIRI then Of course Siri is a lot better than Sara But for those devices which lack Siri, Sara is the best alternative available. Sara recognises simple english effectively and Can recognise lot of accents, Just make sure that you speak clearly and to the point, This is not Siri and it won't answer most of your questions if asked in different way. So if you want a user friendly experience then speak clearly and to the point. Final Words: Sara is very good and I recommend it to everyone with old iDevices. My experience with Sara was good and I enjoyed it very much.